Ok. I’m the type who doesn’t pull any punches when it comes to critique, but let me start by stating my conclusion first. 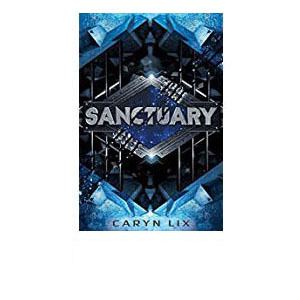 Is Sanctuary, Caryn Lix’s debut book, worth reading? I had a number of issues with the book, which I’ll lay out in my review below. Some of them are quite noticeable, and they take the quality of the book down a notch. But even so, I enjoyed the read. Sanctuary is, seemingly, the start to a series, and I anticipate buying the next one when it comes out. 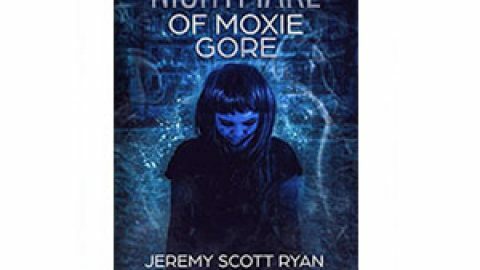 Caryn Lix is a debut author, and like anyone new to the craft, she will continue to improve and refine her style, but as a first effort this book is fun, engaging, and solid. With that said, I’ll dive into a detailed critique, but I want to emphasize the comment above. As a whole, the book was worth reading. I enjoyed it, and I don’t regret the decision to buy it one bit. The story’s main protagonist, Kenzie, is a fairly well rendered, typical angsty teenager. She’s plausibly tough, imperfect in a good way, reasonably believable, and likeable. The progression of her relationship with Cage loosely follows a sort of Stockholm Syndrome, evolving into genuine affection at a decent pace. Cage, Kenzie’s romantic interest, is the typically misunderstood bad-guy-who-isn’t-really-a bad guy. In fact, he’s closer to a milk-drinking, boy-next-door type than the international criminal he’s supposed to be. He doesn’t have the hard edge we’d expect of someone who lived his life. With that said, he’s likable enough. Other notable characters that were rendered fairly well were Mia, Alexei, mom, Rune, and maybe Matt. But from there, character development ranges from fair all the way to nonexistent. There are numerous characters who have names, abilities, and purposes, who occupy noticeable roles, yet have very shallow, one-dimensional personalities. These include characters like Rita and Tyler. Then there is a small army of characters who have names and a single purpose, but no personality at all; characters like Noah, Jonathan, and Reed. These problems exist for several reasons, the first of which is because Lix haphazardly introduces too many characters early on. In the first nine pages, we are introduced to no less than nine characters. This makes it really tough to keep them all straight. Worse, three of those characters disappear almost immediately, never to return, and a fourth disappears from the story early on, only to return much, much later for a few pages, and then disappear from the story a second time. This is problematic, because as readers we have been trained to expect all the early characters to be important. When almost half of them are throwaways, we don’t realize this. We become distracted, wondering why those characters merited introduction at all. Another character development issue stems from Lix’s tendency to continue introducing new characters almost until the very end of the novel, either to fill out the crowd with more bodies or because the story needs their special abilities. With no real time to interact in any meaningful way, these characters sometimes just act like “red shirts” in Star Trek. They exist simply to exist. Or to die. Additionally, the occasional Deus Ex Machina rears its ugly head with characters like Reed. I won’t spoil anything, but if you read it, the minute you see Reed’s name you’ll know what I’m talking about. He’s a new character, introduced very late, but at exactly the right moment when his capabilities are essential to progress the story. That’s a little too much like “the butler did it” for my tastes. Plot elements early on were relatively easy to anticipate. Lix uses the cliché of: “It’s an emergency. Wait, no it isn’t. LOL. Yes, it is, I tricked you.” It’s great when this works, but unfortunately, it didn’t. As the story went on, I continued to correctly anticipate the plot. However, Ms. Lix did finally manage to get the hang of it 75% of the way through, and things began happening that surprised me. It’s fun when you can sense an author evolving throughout the course of writing the novel. It gives you faith that they’ll continue to grow over time. As far as pacing goes, the novel moved along well, but at times there was a bit too much naval gazing. Kenzie is a highly introspective character, a loner who must think for herself. This is fine, but as a matter of efficiency, I think too much time was invested in this process of introspection, and on a few occasions Kenzie irritatingly repeats inner thoughts again and again. As a reader, I struggled not to skip past these moments. The story includes the standard YA romance interest, which at no point contains anything remotely graphic. There is also occasional gore, although again not excessive. This feels very appropriate for the intended YA audience. Sanctuary also suffers a bit from timing issues. There were several instances I noticed where the stated passage of time seemed significantly out of proportion to the events taking place. This shouldn’t be a big issue for most readers, but I happen to be particularly keyed in to that sort of thing, so I noted it. Fortunately, these instances didn’t impact the story at all, so I just shrugged them off. A somewhat more noticeable problem happens near the end of Sanctuary with the “Ethical dilemma that isn’t.” Again, I don’t want to spoil anything, but a raging debate ensues about the ethics of solving a major problem. To me, this debate was vastly overplayed. I sided completely with Mia and Cage. The argument taken by Rune and Kenzie simply made no sense to me. I found lots of little cliché phrasings and actions, like when a sharp sound causes Kenzie to fall out of her chair and hit her head, or phrases like “Loud enough to wake the dead”, “stalked around like she owned the place”, “dropped a bombshell”, and “What can I say? I was still human.” As with the plot elements, Lix’s style began to take on greater refinement towards the second half, when these issues dwindled. Sanctuary bills itself as: Alien meets Alexandra Bracken’s The Darkest Minds. At first glance, this feels appropriate, at least as far as subject matter goes. But the comparison falls a bit short when you consider tone and style. Aliens and The Darkest Minds both feel darker, more tense, but Sanctuary doesn’t feel like that at all. As I read Sanctuary, I kept feeling Robert Crane’s The Girl in the Box series (which I really liked) or Brandon Sanderson’s Reckoner series (which I also loved). Oh, and incidentally, Reckoners has some strong similarities when it comes to the origin of character’s superhuman abilities, so if you read that and liked it, Sanctuary is in the same vein. My biggest complaint about Sanctuary was the price. Yeah, I understand that the writer usually has zero input into this, but with a debut author the publisher should be playing the long game. This book cost $10.99 for the Kindle version, and that’s simply too steep. In this review, I’ve referenced a few well known authors like Brandon Sanderson, Robert Crane, and Alexandra Bracken. All three have very successful franchises. Yet the newest versions of their popular series sell for $4.99 to $9.99. Now, it’s true that Sanderson also charges $16.99 for Oathbringer, the third book in an epic series, but that book is also 1220 pages long, nearly three times as long as Sanctuary. Plus, Brandon Sanderson is a prolific, well known fantasy author. Given that, it’s hard to justify Sanctuary‘s price. In my opinion, Sanctuary is hamstrung by this publishing decision. It’s a good little book, but not worth more than the works of Brandon Sanderson, Robert Crane, or Alexandra Bracken. Even if we ignore direct comparisons to established authors, a $10.99 price point for a debut novel will shoo away readers who are leery of taking risks. It will limit Sanctuary’s brand recognition, and seriously undermine the long-term prospects of the series. While Sanctuary suffers from a number of typical debut author flaws, it is nonetheless an enjoyable read that I can recommend. 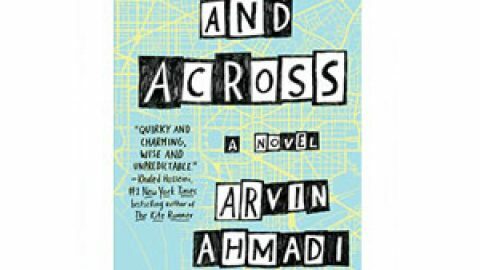 Not as polished as the work of more established authors, it is still a fast-paced story with some interesting elements. I expect Lix will continue to evolve as a writer, and I’ll be buying her next book. As an overall rating, I’ll give Sanctuary 3½ stars. I'm not around right now. But you can send me an email and I'll get back to you at some point. Maybe.